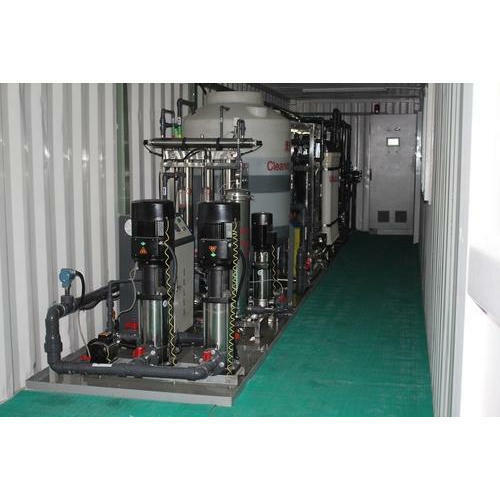 We are offering Containerized RO System to our clients. Established in the year 1995, we, Sai Aquafresh, are one of the most recognized organization engaged in manufacturing and exporting an unbeatable range of water purifying systems.Our wide category includes Magnetic Water Softener, Effluent Treatment Plant, Water Treatment Plant, Iron Removal Filtration, RO Systems and much more. Our range serves the demands of varied industries such as Textile, Sugar, Dairy, Food processing, Pharmaceutical and other industries. Backed by advanced technology and capitalizing on years of industry experience, we design and develop water purifiers and allied products, which ensures high performance and are cost effective. Our range of user friendly water filtration system has carved a niche for our company thereby creating a huge market base across the globe.